What Is Magic Formula Investing? Joel Greenblatt, a hedge fund manager and professor at Columbia, introduced the "magic formula" investing strategy in The Little Book That Beats the Market (2005). A follow-up, The Little Book That Still Beats the Market, was published in 2010 with updated statistics. Greenblatt also wrote You Can Be a Stock Market Genius. He called the formula "magic" because, according to his testing, the strategy averaged 24 percent returns per year between 1988 and 2009. If you invested in an index fund, the return would have been 9.55 percent. The strategy handily outperformed the major indexes. The percentage difference becomes more noticeable when put into dollar terms. If $10,000 were invested at 24 percent and $10,000 invested at 9.55 percent over the time frame, the Magic formula would have turned $10K into just over $1 million, whereas the S&P 500 index would have turned $10K into just under $75,000. Bigger returns matter, especially over long periods of time, due to the power of compounding. The book makes a compelling argument, but can the average investor expect to make 24 percent using this strategy going forward? Below we look at what the strategy is, how to implement it, as well as whether the strategy lives up to Greenblatt's claim. Before delving into the strategy, some other people have run tests on the strategy. Their findings are different than Greenblatt's yet still positive. One study ran a test from 1999 to 2009 and found the strategy returned 13.7 percent per year, on average. Another study found that between 1993 and 2005, the strategy outperformed the US index by 3.6 percent, the UK index by 7.3 percent and the Japan index by 10.8 percent. For example, if the UK index returned nine percent, the magic strategy returned 16.3 percent (nine percent +7.3 percent). A number of other tests conclude the same thing: the strategy outperforms the indexes, although not by quite as much as Greenblatt indicates in his book. Buy good companies at a good price. That sentence summarizes this investment approach. The strategy has nine rules to follow. Only include stocks with a market capitalization over $50 million, $100 million, $200 million. The investor chooses, and guidance on which to choose is provided below. Exclude financial and utility stocks. Exclude foreign companies or American Depositary Receipts (ADRs). Determine company’s earnings yield, which is EBIT/EV. Determine company’s return on capital, which is EBIT/(net fixed assets + working capital). Based on steps one through five, rank the results according to earnings yield and return on capital. Rank as percentages. Invest in 20 to 30 of the highest ranked companies, accumulating two to three positions per month over a 12-month period. Rebalance portfolio once per year, selling losers 51 weeks after purchase and selling winners 53 weeks after purchase. This is for tax purposes, as losers are held for less than a year and winners are held for longer than a year. Only utilize the strategy over the long-term. For example, choose to implement it for at least five years or more. Some steps may sound daunting, especially four through six. Steps four and five are looking at is what type of returns the company gets relative to their enterprise value and assets. The more earnings an investor gets, for the dollars invested, the better. Step six is then about finding the best 20 to 30 stocks that meet these criteria. Greenblatt has created a website that does all these calculations for us. Additionally, some guidance on why these ratios are used is provided at the end of the article. MagicFormulaInvesting.com ranks all the stocks that meet the criteria, calculating steps two through six. We select the minimum market capitalization we want the website to use, and how many stocks we want it to find. If we input $50 million and select 30 stocks, the website will produce a list of the 30 top ranked stocks with a greater than $50 million market capitalization. This image above shows a page sample as of September 2017. Run the scanner for an updated list. Market capitalization is the share price multiplied by how many shares are outstanding. If you don't mind trading very small companies/stocks, that may not have a long track record and are rather speculative in nature, then set the market capitalization limit at $50 million. If you only want to invest in bigger more established companies, set the minimum market capitalization at $500 million or $1 billion. Big companies still face risks too, and small companies may have a big upside if they grow quickly. There is no perfect solution. It comes down to a personal choice: do you want to invest in smaller companies or only larger ones? The 30 or 50 stocks produces are not ranked, they are listed in alphabetical order. This is because the strategy calls for investing in 20 to 30 stocks. Over the course of the year, many of the stocks on the list need to be purchased anyway. The list will change over time, though. If the screen is run each month, a few different stocks would be purchased from the list each month. 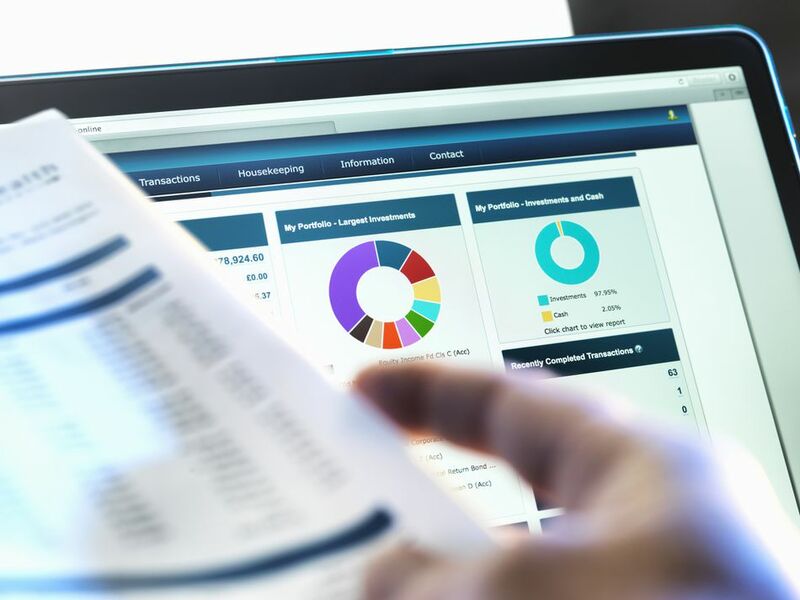 While with the website it is easy to see stocks that meet the criteria, it is recommended that investors have some background in reading financial statements and understanding what steps four and five mean. Reading a basic book on understanding financial statements and fundamental analysis is well worth the small time investment. Individuals could see great variability in returns from one another, even if they are all following the strategy steps. When a stock is bought and which stocks are bought will all play a role in determining the return for that individual. Remember, the screener could produce different results on different days, as some stocks move out of or into the top 30/50 stocks that meet the criteria. It's for this reason that Greenblatt recommends the strategy is implemented for more than five years. Over only one, two, or even three years performance may not be good, underperforming the indexes. It is only over longer periods of time that buying good companies at good prices pays off. The strategy calls for selling losers and winners just before and just after the one-year mark. This creates an implementation question. If you just sold a stock, and it is still on the list, do you buy it again? This is a personal decision, and if you want to utilize the strategy over the long-term, consider these types of questions before embarking. There is also the option of holding onto winners for longer than 53 weeks. If you have some fundamental and technical analysis experience, and a trade is performing very well, consider holding onto it for further gains. The strategy recommends buying two or three stocks each month over the course of a year. This spreads out purchases and avoids buying all the stocks right before a possible big drop, but it also avoids the possibility of buying all the stocks before a big rise in the market. Spreading purchases out is fine, but another consideration is to look at how stocks tend to perform during the year. This is called seasonality. Based on market tendencies over the last 20 years, January is typically a poor month for stocks, June through September also usually sees stocks decline. This chart shows this, and the number at the bottom of the column is the percentage gain or loss, on average, for that month. Those who want to accumulate more stocks at once may wish to make more stock purchases toward the end of January or early February, or June through the end of September, taking advantage of the depressed prices which are more typical at these times of the year. Greenblatt's results don't take into account commissions. Buying and selling 30 stocks in a year, that's 60 commission payments to get in and out, can be a big hit to returns on a small account. While not expressly stated in the book, it would be advantageous if investors had at least $30,000 in investable capital. That way, $1,000 or more can be invested in each trade, and $10 to $20 in commissions to get in and out doesn't sting as much. If only investing $100 in each stock, paying up to $20 in commissions to get in and out means the stock needs to move favorably by more than 20 percent just to break even! The more capital the less commissions affect the account. Even $1000 in each stock isn't ideal; more capital is better, as it reduces the negative effect of commissions. Small accounts should avoid this strategy. For those with some experience with financial statements, or who want to learn more about the financial ratios in the formula, here is why Greenblatt opted to use these ratios. There are two ratios in the magic formula, with the first being the earnings yield: EBIT/EV. This is earnings before interest and taxes divided by enterprise value. A simpler and more common version of this ratio is earnings/price. Greenblatt prefers EBIT over earnings because EBIT more accurately compares companies with different tax rates. EV is preferred to share price because EV also factors in the company's debt. Therefore, EBIT/EV provides a better picture of overall earnings than earnings/price. The second ratio is return on capital, which is EBIT/(net fixed assets + working capital). While the first ratio looked at earnings before interest and taxes compared to enterprise value, this ratio focuses more on the earnings relative to tangible assets. Many assets listed on the balance sheet aren't worth what it says, because assets like machinery depreciate over time as the usefulness is used up. These types of assets are called fixed assets. Net fixed assets are thus fixed assets minus all the accumulated depreciation and any liabilities associated with the asset. This gives a truer sense of the real value of a company's assets, compared to just looking at the total asset number on the balance sheet. Working capital is also part of this ratio and is current assets minus current liabilities. This gives a picture of whether the company is likely able to continue operations in the short-term. While the two ratios in the magic formula look small, they actually are computing a lot of data about the inner workings of a company. Earnings, interest, tax rates, equity price, debt, depreciation of assets, current assets, and current liabilities are all being factored in. Should You Leave Your Day Trades Alone or Actively Manage Them? Day Trading False Breakouts. One of the Best Day Trading Strategies.